To create “contemporary opera” based on Mary Shelley`s Modern Prometheus is something completely in line with the Tarkampa Project. The subject of the famous book (vulgarly called Frankenstein : the Creature has no name in Shellley’s story), the idea of post-human, of “mutation”, the idea of marginalization and so on , and the psychology of the persecuted-persecutor, have a lot to do with the Tarkampian way of looking at the world, and at music itself. And even, some of the pieces that have been included in such a work as this PROMETHEUS, where created in advance, and found their natural context just here, in the Mary Shelley world, evoked here after 200 years, with electronic sounds, percussions, voices (electrified or not) and image projection. The “mutation” idea and the idea of the revolutionary “crazy scientist” is something familiar also for people that invent new musical instruments, or for others that know how to modify programs and hardware to obtain a creative and different use of exiting things. All this people, many in the music field, together with the contemporary figure of “hackers” are on the border of the accepted world, so to speak. By one side they are highly admired for the miraculous way of changing things, modifying the technology, and the human relationship with it, on the other side they can be left at the margins of the dominant culture, and even end up in poverty. In this project we are using various invented instruments, some constructed by Riccardo Massari Spiritini, other also invented and assembled by Ramon Torremilans , a percussionist leader of the Barcelona Percussion Group, an ensemble with more then 40 years of experience in the field. 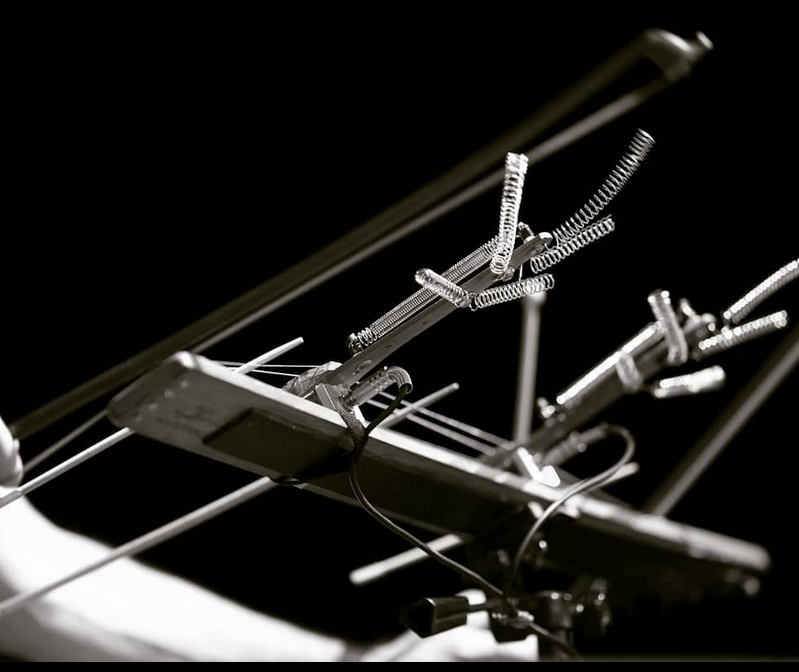 Ramon’s instruments, called Androminas are based on the resonance of metal springs connected to drums and Tam-tams, Riccardo’s Tarcordium and Minytar are electroacoustic instruments also with springs and metal resonators, together with bowed strings.All these instruments are used in the creation of the work Prometheus, in studio and live. 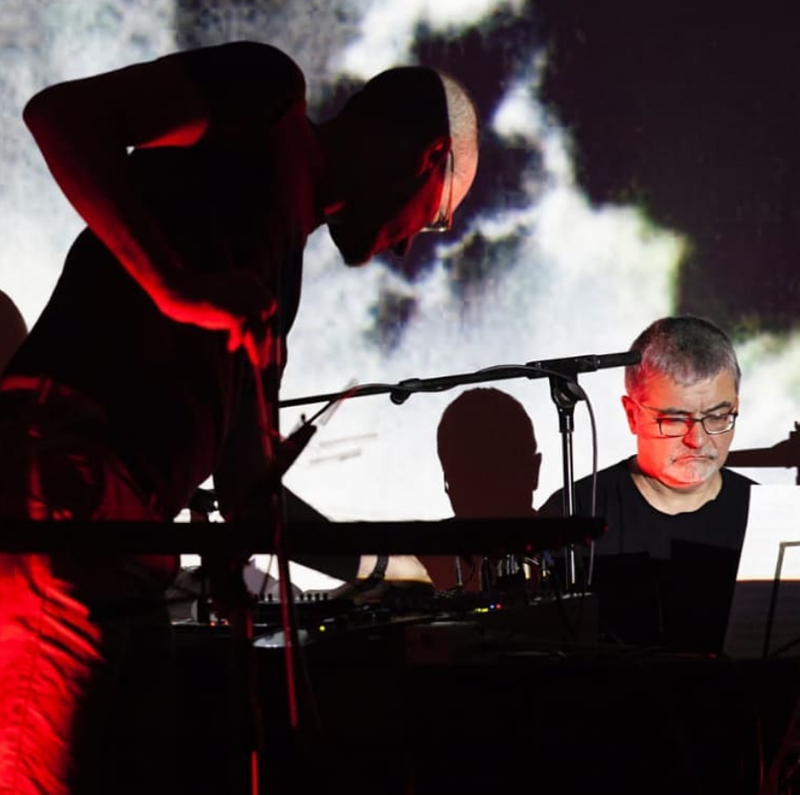 After many months of preparation we gave a premiere concert in June 2018 at Convent de Sant Augustí in Barcelona, a quite successful and crowded performance where Riccardo Massari Spiritini could count on the percussions of Robert Armengol, the electric drum set of Pablo Posa, and the actor Horacio Ladrón de Guevara (who spells an original monologue based on the psycology of the Creature of the Modern Prometheus). 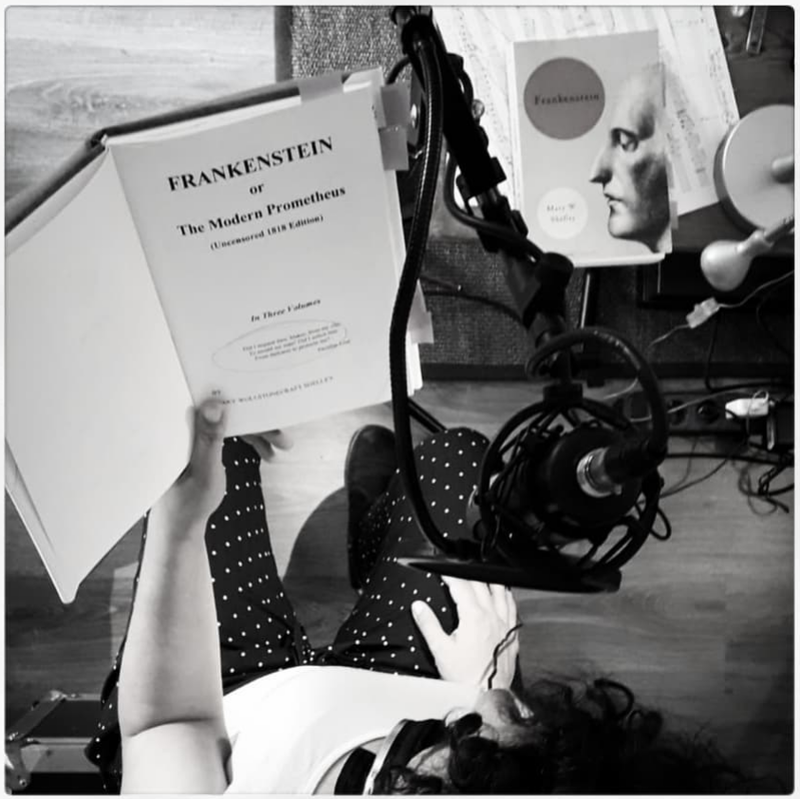 In the beginning of the work we can also hear the voice in off of Anna Ponces interpreting the Preface of Mary Shelley, as the author herself was reading it. The sonority is in the style of Tarkampa’s Tres Ritus Marins, rich in texture and spacey, with the add of spoken voices that take us to a theatrical parallel world (check our work A CIEGAS on texts by Horacio Ladrón de Guevara, with his original voice) and some electrified experimental rock sections like the piece “Second Hand Human”, and the “Melting Ices Suite” at the end, where the escaping creature in the ice lands find a contemporary landscape where animals are dying and the ices are melting with no remedy. Before this years will be over we hope we will be able to product this “opera” for an Album that will contain all the best parts of our work. Stay tuned!